Doors open to the public at 10:00 AM! 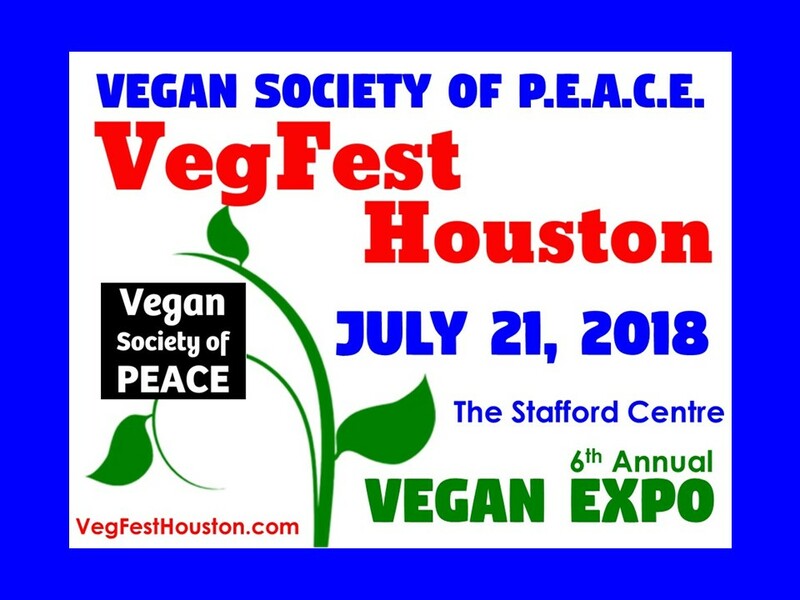 Our 6th Annual VegFest Houston is a FREE Admission event! Children must be accompanied by a parent! All attendees must pass through the General Admission entrances to receive an entrance wristband free of charge. You will not be allowed into the Expo Halls, Food Truck Park, Kids & Teen Zone Suites, Yoga Room or Lounge without a wristband, and vendors will not sell to anyone without a wristband. VIP PERK PASS HOLDERS WILL OBTAIN WRISTBANDS AT THE VIP ENTRANCE. All rules here apply to VIP Perk Pass holders as well. There will likely be a wait in line at the General Admission lines, which start at the front doors and will wind around the front of the building near. Plan accordingly. The longest lines at admissions is usually during the first hour. Doors open to the general public at 10:00 AM, but you still need to allow for time in line to get a wristband. At the General Admission Entrance tables, you also have the option to purchase a Tote Bag for a $5 Donation. There are over 1,000 free parking spaces! First come, first serve! Don't leave valuables in your car. ALL Bags are subject to being checked in Admissions. Please help us keep the lines moving by leaving backpacks at home and coolers in vehicles. These items are not allowed. You may bring in a flattened empty reusable tote and a water bottle. Water and reusable bottles will also be sold by VegFest Houston onsite. The Police Department will have Officers stationed throughout the festival as we do every year for our festivals since we started in 2011. This is standard for most large events around the country. Officers will be stationed in all areas including the Expo Hall, all Suites and Kids Zone, in the Food Truck Park and in the parking lot for your safety. Smoking is NOT allowed anywhere on the property. Same for Alcohol. No outside Food or Beverages (you'll have plenty of food to enjoy at the Expo!). Our food vendors have been notified to plan for over 4,000 attendees. Food lines may be long, as this is typical for large festivals with food. No Leafleting, solicitiations or distribution of materials in the Stafford Centre. This privilege is reserved only for our Vendors and Exhibitors who have paid for this opportunity. Solicitations may only take place from registered vendor booths. Security & event staff will enforce these policies and will ask you to leave. Companion Animals are NOT permitted inside the facility, except for those with licensed ADA assistance animals. Children may not be left unattended at any time. Any children left unattended will be referred to an Officer. Please dispose of trash in receptables and/or bins marked for recycling. Save resources by refilling water bottles at the drinking fountain! No disruptive behavior of any kind will be tolerated. Respect your fellow earthlings and you will have an amazing time! Note: VIP PERK PASS holders have their own express line. Please see the VIP PERK PASS link for info!